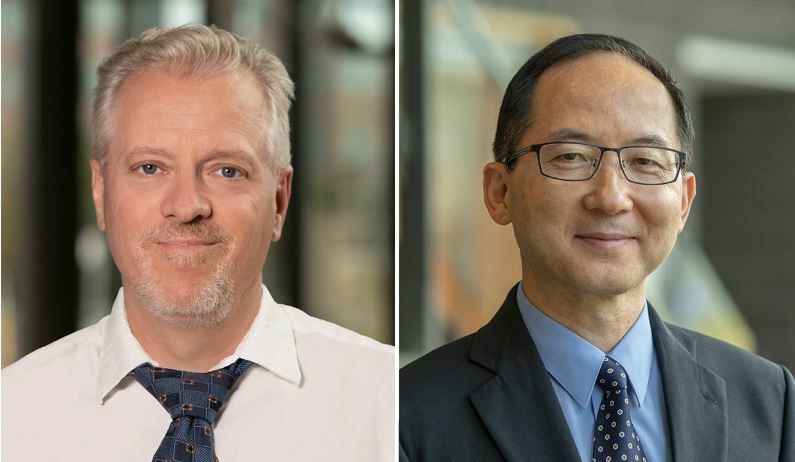 Dr. Pierre Berini, CRPuO Director, and Dr. Jianping Yao, CRPuO member, have both been elected as fellows of the Royal Society of Canada (RSC). "The fellowship of the RSC comprises over 2000 Canadian scholars, artists, and scientists, peer-elected as the best in their field. These are distinguished men and women from all branches of learning who have made remarkable contributions in the arts, the humanities and the sciences, as well as in Canadian public life." (Royal Society of Canada, 2018). This is the highest distinction that can be given to a scholar, artist or scientist in Canada. Dr. Berini is a University Research Chair in Surface Plasmon Photonics, as well as a Professor with the School of Electrical Engineering and Computer Science, cross-appointed to the Department of Physics. Dr. Yao is a University Research Chair in Microwave Photonics and a Professor with the School of Electrical Engineering and Computer Science. You can read more about this distinction here. Congratulations Dr. Berini and Dr. Yao on this honour!